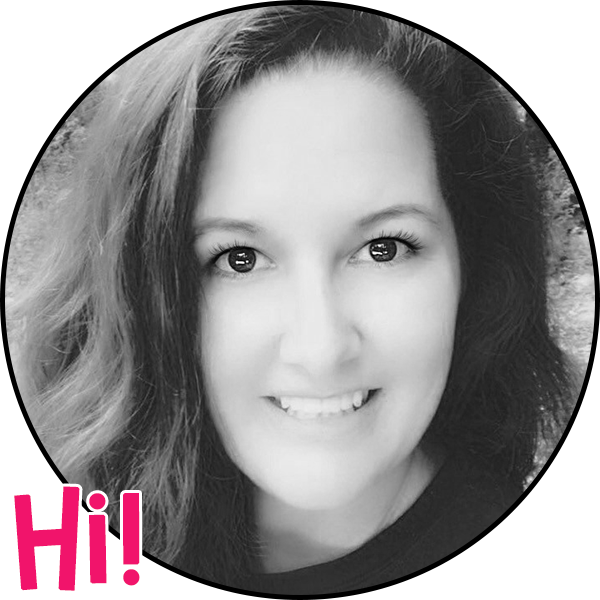 This link up will occur the first Wednesday of every month, and you will have a chance to win a FREE product by signing up at the Rafflecopter at the bottom of this post. 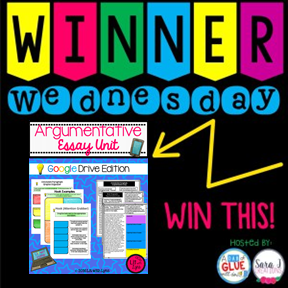 The product that I'm giving away this month is my Argumentative Essay Unit- Google Drive Edition! If you aren't able to use the digital version, don't fear...it's printable, as well! After using this w/ my own students, I was thrilled w/ how much better they understood the argumentative writing process. To begin this unit, I show my students a proficient sample essay, and break down each paragraph. As we're going over each paragraph, I explain all of the elements that need to be included. After going over each paragraph, students will use a different sample essay where they are asked to identify the various parts of each paragraph using a graphic organizer (similar to the one above). Once they have a better understanding of the overall essay, they will begin working on developing strong hooks (attention grabbers). To ensure they understand the various options that can be used when creating a hook, they will first complete an interactive matching activity that addresses the 5 main types of hooks (rhetorical question, quote, fact/statistic, anecdote, sensory details). Then they will begin writing their own argumentative essay, using the graphic organizers that are provided. This unit turned out to be a huge success for my students! Make sure to enter for your chance to win using the Rafflecopter below, and don't forget to check out the other great giveaways! This looks awesome! I love how it can all be done digitally so there is no papers to keep track of. Thanks for joining us and linking up this month. 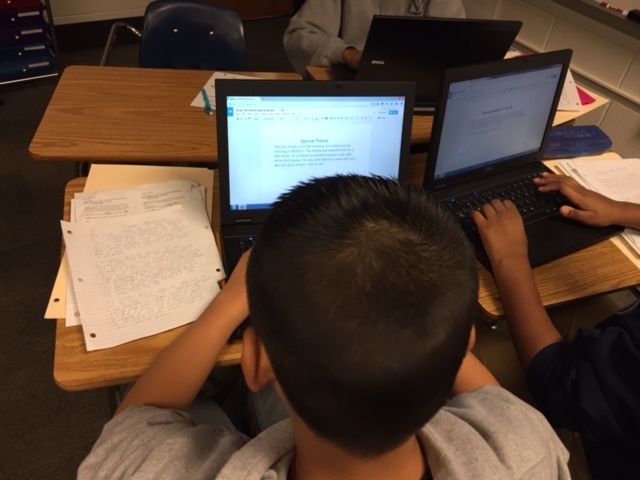 Using Google Drive has became a game changer in my classroom! I can't say enough good things about it! Thanks for hosting this! What a great product! I am sure the kids LOVE the digital aspect of it. Thank you so much for joining Winner Wednesday this month! Thanks for organizing it! SO fun! This looks like a fabulous product! Thank you! My students loved it!